What do you do when you have a whole bunch of ripe bananas and kids who are so ‘over’ eating them? Well, I usually make some version of banana bread – muffins or a loaf of bread are my standard go-tos. I recently made this recipe, and it was a winner. But I get so bored with regular banana bread, so this time I decided to try making double chocolate banana bread mini muffins. The best part about mini muffins is how quickly they bake! Instead of waiting for an hour for a loaf of bread to bake through, these double chocolate banana bread mini muffins only took 8 minutes. The only problem with mini muffins, is that they disappear very quickly. 🙂 They are so small and petite, they are super easy to pop in your mouth without thinking too much about it. But despite how quickly these vanished from my house, this recipe is a total winner. I’m definitely looking forward to trying it in a full-sized muffin and a loaf version too. I do think I’ll add chocolate chips next time, but they did still taste really great without them. This recipe would also be great with nuts, if you like nuts in your muffins. I think walnuts would be great. If you’re looking for a quick and simple recipe the next time you have too many bananas on hand, this one is it. 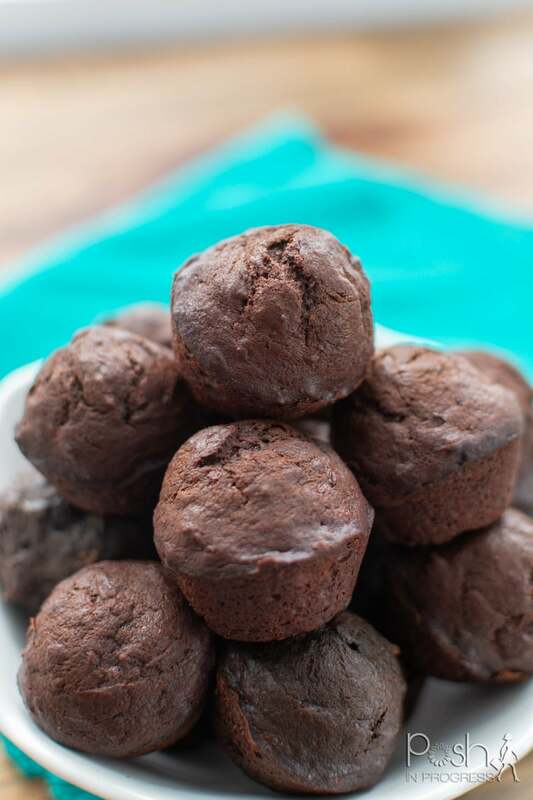 I hope you’ll try these double chocolate banana bread mini muffins and let me know what you think! Looking for other banana recipes? Here’s a nutella & banana bread muffins recipe and a southern banana pudding recipe. Preheat oven to 350°F. Using cooking spray to generously spray the mini muffin pan, or use butter, if you prefer. Mash bananas in the bottom of a large bowl. I spent a lot of time mashing them to get them as smooth as possible. I actually used a potato masher, but you can also use a fork. Whisk in melted butter, then brown sugar, egg, and vanilla. Place baking soda, salt, flour and cocoa powder in a fine-mesh strainer and sift over wet ingredients. Stir dry and wet ingredients with a spoon until just combined. Stir in chocolate chunks or chips, if using. 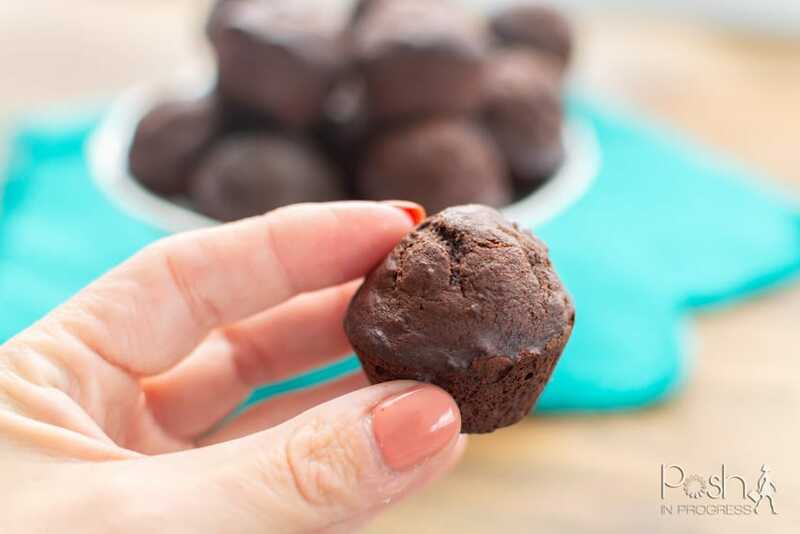 Pour into prepared muffin tins and bake for 7-9 minutes, until a tester or toothpick inserted into the center of the cake comes out batter-free. Cool in pan for 2-3 minutes, and turn out onto a cooling rack. Serve warm or at room temperature. 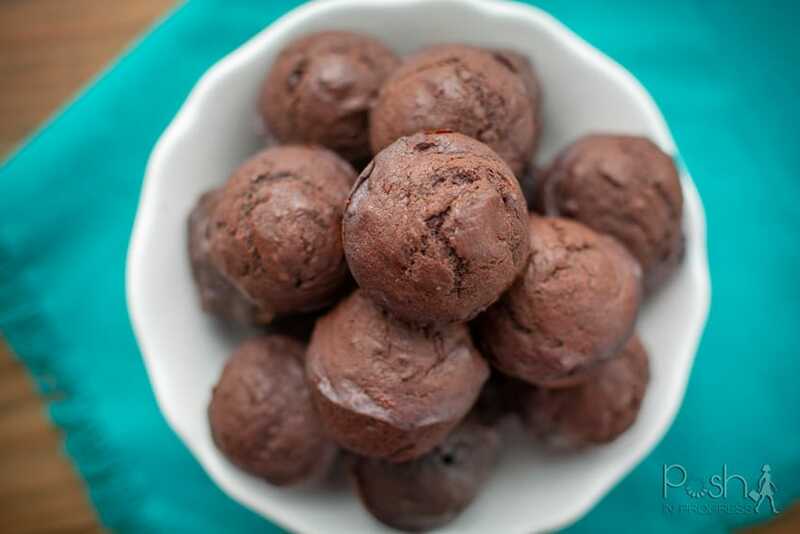 The double chocolate banana bread mini muffins will keep for up to 4 days at room temperature. They can last longer if you put in the refrigerator or freezer.